With its year-round cool climate and acres of land rich in volcanic soil, the Yarra Valley is the largest grape producer in Australia. It is therefore no surprise that the region houses over 55 wineries and 100 vineyards within its vicinity. Recently, the Yarra Valley has emerged as a premier holiday destination in Victoria and, as a result, a number of wine makers have started some new contemporary restaurants in the Yarra Valley. 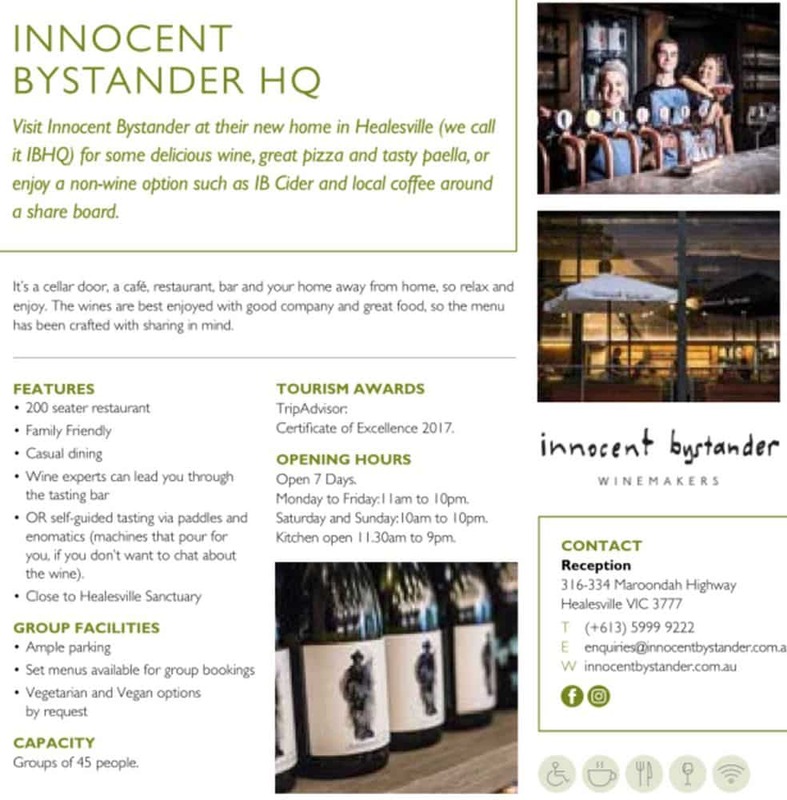 Innocent Bystander focuses solely in creating a distinctive variety of new flavoured wines as well as classic selections. At Innocent Bystander, the wine makers use the latest technology and knowledge to create the best wine varieties. Each of these wines is made from fresh fruits from the Yarra Valley which offer distinctive flavours. Visit their onsite bistro and try a few things on their delicious menu including wood-fired pizza, cheesy pastas, tapas, cheese and desserts. The site also roasts their own coffee beans and after tasting a cup or two, visitors can purchase the coffee to take home. Check out the on-site bakery and cheese shop where you can purchase all their products direct from the producers. Take a tour across the winery and explore the site housing the barrel hall, the fermenting tanks, hidden sheds and the tasting halls. The cellar door is where both Innocent Bystander and Giant Steps wines are produced. All of the wines are available for tasting daily, with Innocent Bystander wine tastings complimentary. You can try their range of Moscato, Pinot Gris, Chardonnay, Rosé and Pinot Noir. If you are looking for accommodation near to Innocent Bystander restaurant or cellar door, click on the link below for the best accommodation deals. 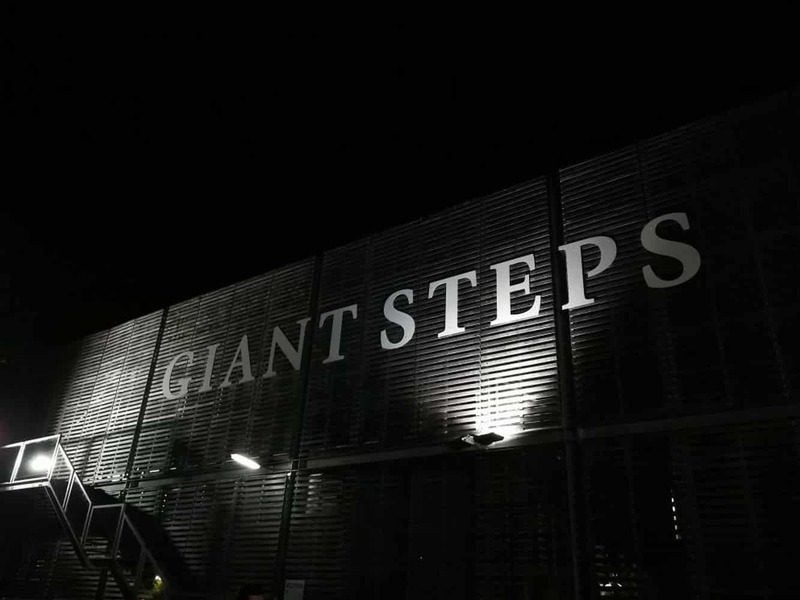 Giant Steps wines are available for tasting for $10 per person, refundable upon any take home purchase of Giant Steps at the Cellar Door.